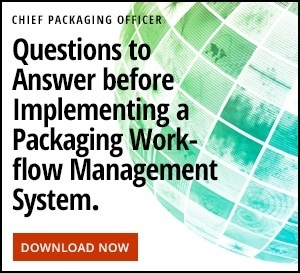 The U.S. Food and Drug Administration’s (FDA) recent decision to delay the enforcement of new labeling requirements sends a clear message to consumer packaged goods (CPG) companies and the packaging industry as a whole: It’s time to step up. The decision now means manufacturers that generate $10 million or more in food sales each year will have until Jan. 1, 2020 to comply with the new regulations. Those that generate less than $10 million in annual food sales will have until Jan. 1, 2021 to comply. According to FDA Commissioner Scott Gottlieb, the agency decided to delay the enactment of the regulations because companies need more time to prepare. The FDA’s action shows that—even though they were given more than two years to prepare for the new regulations—CPG companies failed to do so. Despite major improvements in artwork and label management workflows and processes, the failure of the industry as a whole to support these vital label improvements is concerning—particularly when compared to the vigor with which companies implement a SKU extension or a branding change. Many believe that CPG companies should have made the commitment to process improvements that would have enabled these new regulations to move forward as planned. Under the Nutrition Facts Label final rule, companies must include updated scientific information—including the link between diet and chronic ailments like obesity and heart disease—on their packaging. The FDA believes that these new labels will make it easier for consumers to make better-informed—and therefore healthier—food choices. For example, the new rule will require companies to clearly indicate sugars have been added to their products. They will also need to provide an updated list of vitamins and minerals of public health significance. The Serving Size final rule will require companies to accurately reflect how much food and drink is actually in each package—preventing consumers from drinking three servings of soda, for example, when they think they’re only drinking one. When the new regulations are ultimately enacted, the FDA hopes that they will help improve public health and reduce the ever-increasing healthcare costs in America, which rose to $3.3 trillion in 2016. Further, as consumers change their dietary habits and start eating and drinking healthier options, they’ll enjoy a higher quality of life. While the new rules won’t be enforced for a few years, that hasn’t stopped some innovative packaging companies from complying with them anyway. According to one report, more than 29,000 products have already adopted the new labels. 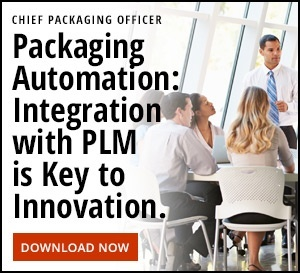 The new rules present the perfect opportunity for many manufacturers to reexamine their processes and partners to determine whether they could make any improvements to optimize their packaging. Time will tell how much innovation will occur in this space due to the impending new regulations.